Susuhana Cree Territory: Southwest of Lake Winnipeg. 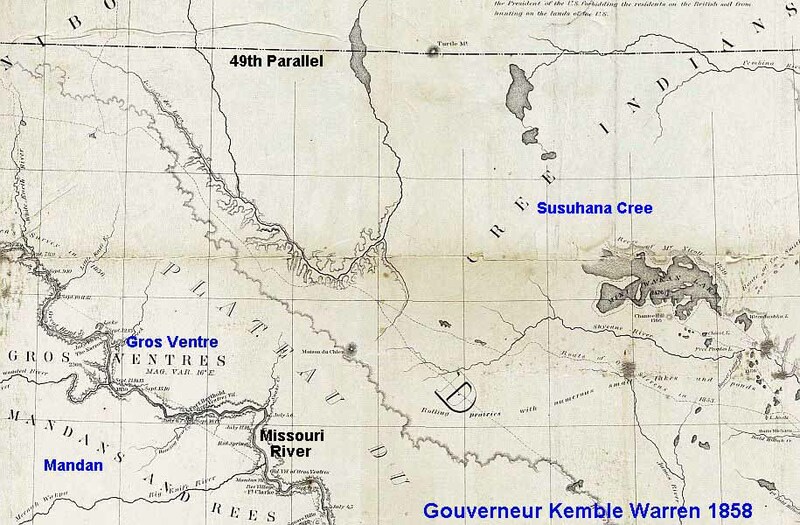 Susuhana Cree were pushed out of a wide swath across southernmost Manitoba in the 1740's by invading Assiniboine from the Lake of the Woods region. Subsequently, the Susuhana were decimated by the smallpox epidemic of 1781. 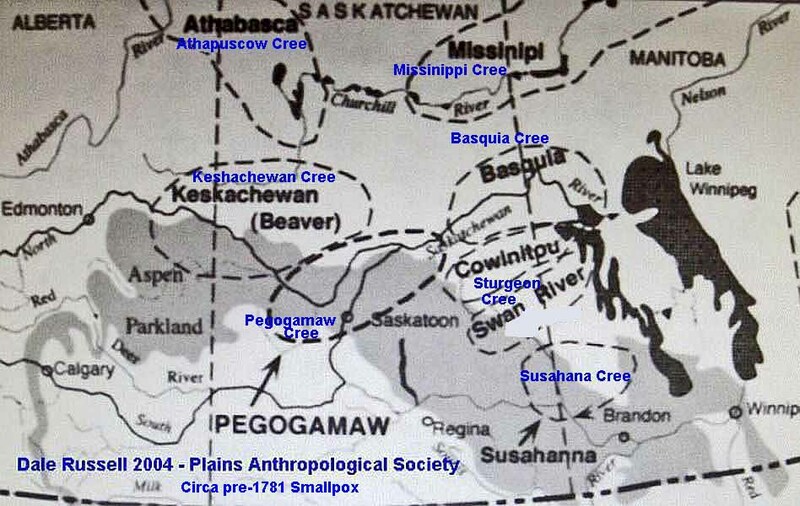 Afterwards, Saulteaux Ojibwe migrated into their remaining territory from the east and merged with the Susuhana Cree survivors to form a new identity, Plains Cree.